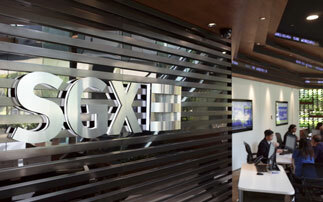 Singapore Exchange (SGX) will make amendments to its Listing Rules following the Monetary Authority of Singapore's (MAS) acceptance of the Corporate Governance (CG) Council's recommendations to amend the Code of Corporate Governance and the rules. Bar certain exceptions, the Listing Rule changes will come into effect on January 1 2019. The Listing Rule changes are a byproduct of recent revisions of the Code of Corporate Governance. In response to these amendments, SGX launched a public consultation seeking feedback on the proposed rule changes. One major exception to the implementation timeline concerns the rules on the 9-year tenor for independent directors and the requirement for independent directors to comprise one-third of the board, these changes come into effect on January 1 2022. The longer transition period accords companies sufficient time to ensure the composition of their boards is able to meet the requirements of the Listing Rules. SGX is the world's most liquid offshore market for the benchmark equity indices of China, India, Japan and ASEAN and offers commodities and currency derivatives products.